Better Results Through Science, Guaranteed. 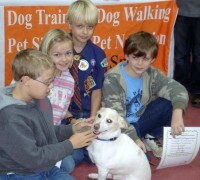 One-on-one in home lessons are tailored to the needs of each individual pet and owner. 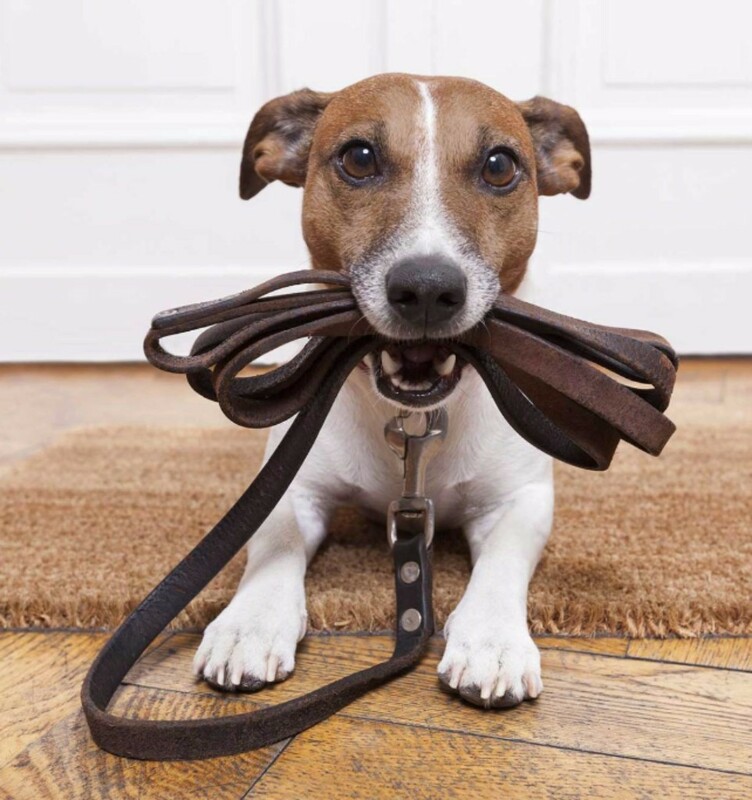 The focus is on basic obedience and resolving nuisance behaviors such as house training, jumping, and pulling on the leash. With private training, we can focus on the problem in the context of where it is taking place providing powerful, long-lasting results. 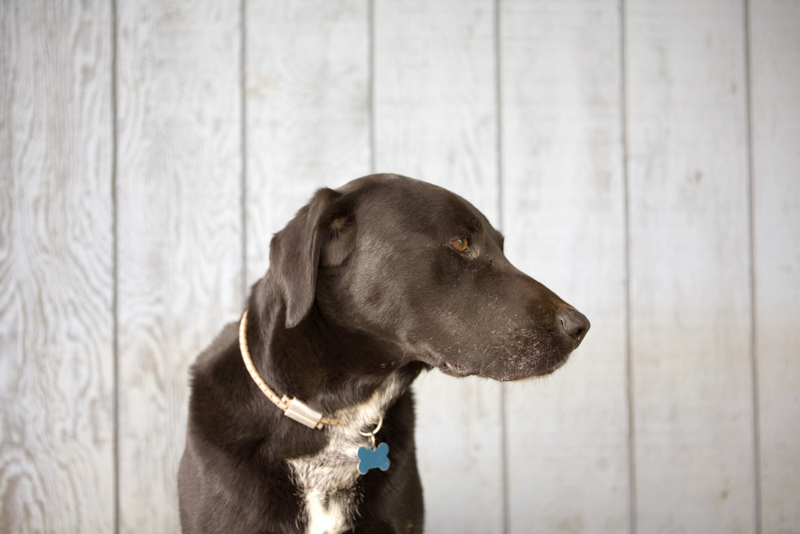 Rocket Science is an active member of the community providing free lessons in safe interactions with dogs to veterinary clinics, schools, youth groups and shelters, and offering discounts on services for newly adopted pets. Packages available to assist with service dog training for qualifying situations. A systematic, science based curriculum builds up appropriate behavior while instilling confidence and an overall feeling of well-being. Force-Free training allows us to have well rounded, obedient dogs without the use of fear or pain. This technique provides consistant feedback to shape the perfect companion. Our focus is on an informed approach. 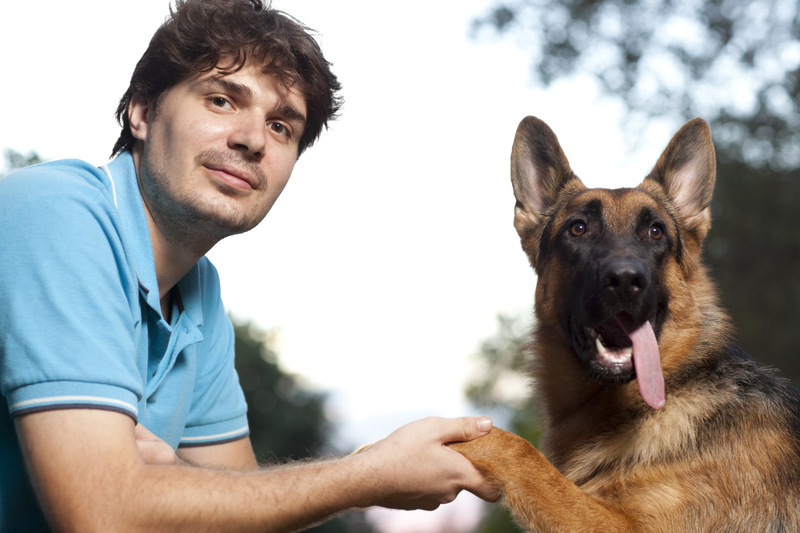 Understanding the science behind your dog's behavior and how they communicate ensures safety with every interraction. With multiple veterinary, training, and behavior certifications I remain an active contributer to the veterinary community and work closely with Dr. Terry Marie Curtis, DVM, DACVB. It's not Rocket Science... It's Fun!! Fear is the underlying cause for canine aggression. With patience, understanding, and a systematic approach every dog can become a happy and confident companion! --Bethany did a great job organizing a large quantity of information into an engaging, thoughtful, succinct and, most importantly, up-to-date presentation. Being an EMT, this was largely review information for me but I remained focused and engaged through the entire seminar. Bethany knows her stuff! I highly recommend this for anyone who owns dogs or works with dogs on a day-to-day basis. The things you will learn, especially the decision making and time management skills, can make all the difference. -- Great presentation & videos! This is my third pet first aid course and it was top notch. --Thank you so much for teaching us behavior, you made us see things in a whole new light and your teaching method kept us engaged throughout the entire presentation! -- I worked with Bethany before she opened this business and was always impressed with her knowledge of behavior. She remains my go to person when I have behavior/training questions. I currently live 1/2 way across the country and yet have multiple times recommended people here contact her because I value her knowledge and abilities so much! --Bethany has been working with one of my dogs who has severe separation anxiety as well as cage aggression. He has made immense progress in both areas and I couldn't be happier! I love Bethany's positive approach to behavior issues and I am so impressed with her training methods and her results. I highly recommend Bethany to anyone, whether you are looking for puppy obedience classes or whether you have a dog with a serious behavior problem, Bethany is my "go-to person!" --Her weekly one-hour training has been fun for us, but more importantly, a blast for our canine, Samantha. Bethany, with Rocket Science Training has a keen understanding and innate ability with dogs insofar as to how they think and act as they do. It is with this knowledge that, when applied to behavioral training, makes for a well adjusted pet and dog that is a happy member of the family. Users of Bethany can relax with the knowledge that a friendly, dependable and well informed service is handling the assignment. I strongly recommend her and our dog does too! France S. and Jim W.
-- Bethany is outstanding! Her behavioralist methods have brought 2 of my furkids from unhappy puppyhoods to happy adults. More to go but I cannot say enough about the positive outcome witnessed in such a short time thus far. Recommend her services highly! - Bethany is a miracle worker! 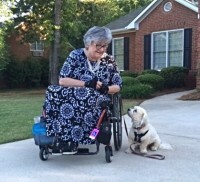 She takes time to listen to you and your dog, and knows the perfect way to teach YOUR dog. She is repectful of your home and your family's schedule/needs. --Bethany is awesome!! Her knowledge and experience is worth every penny!! She has helped to shape my adopted boxer Bella into an awesome dog!! I could not have asked for anyone better to help me train and shape good behaviors for my dog! When I adopted Bella she was already two years old, with Bethany's training Bella is a confident dog who is now more well behaved in the house then when I first got her! --Bethany is an awesome trainer and person! She has been volunteering at my rescue, Stephens Community Canine Rescue Inc for almost a year now and the dogs love her.She has helped them to overcome resource guarding, general fear of people and of course all the basic good doggie commands.I highly recommend her and her services! --Pet trainer is a gross understatement, Bethany is a true pet behaviorist. Any type of pet, any situation or problem, she’s the one who can help you to understand how to read your pets signals and redirect them onto the right path! No yelling, no shock collars, or choke chains just true tried and reliable science!! !